CARSTAR AUTO BODY REPAIR EXPERTS EXPANDS MSO NETWORK IN LOS ANGELES WITH THE ADDITION OF CARSTAR ALLSTAR COLLISION, INC.
LEAWOOD, KS (July 27, 2015) – CARSTAR Auto Body Repair Experts is expanding in Southern California with the addition of CARSTAR Allstar Collision, Inc. in Corona, CA, to North America’s largest collision repair network. The shop has served Corona and the surrounding communities for more than 20 years. 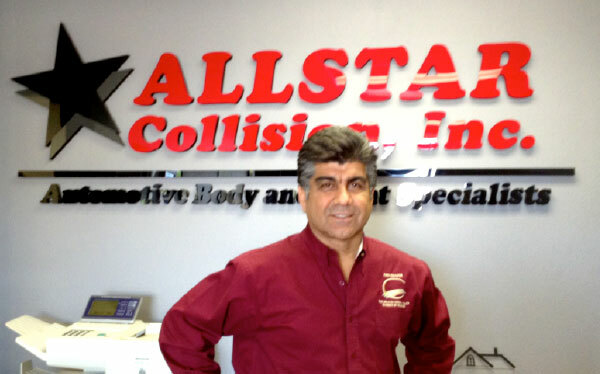 CARSTAR Allstar Collision, Inc. is owned by Dean Seif, and is located at 522 Railroad St., Corona, CA 92882. It is conveniently situated near Grand Avenue and Main Street with quick access to both the 91 Freeway and Interstate 15. While his shop has been successful, Seif felt that if he wanted to continue to serve his customers in the best way moving forward, he needed the partnership of the industry leader. "Everyone here at CARSTAR Allstar Collision, Inc. is extremely excited about our decision to join the CARSTAR network,” said Seif. “We are proud to be one of the most reputable and well-known collision centers in our region. As we look forward to the future, to growth and expansion in the coming years, and to the ever-changing technology in our industry, it's becoming more and more clear that we will need a strong nationwide partnership in our industry to achieve our objectives. The partnership with CARSTAR will ensure our continued growth and improve upon our exceptional services. The decision was not a difficult one!" Dean Seif has more than 25 years of hands-on experience in production management, quality control engineering, production cycle time management, customer care, Six Sigma and process improvement. Seif has a degree in engineering and an MBA in technology management. He is a certified trainer in statistical process control (SPC) and process cycle time analysis. He is a certified trainer by Juran Institute in Quality Improvement Techniques. Seif also is an ISO 9000 Standards Lead Assessor. As a professor and a consultant, Dean has taught these and other engineering principles at California State University at Los Angeles, DeVry University in Pomona, Riverside Community College, and numerous small to large companies. CARSTAR Allstar Collision, Inc. is housed in a modern 17,000 square foot facility. The shop is completely outfitted with everything needed to perform a quality collision repair. They utilize CCC and Mitchell estimating software, Car-O-Liner unibody, frame, and alignment equipment, and a ZHONGA headed downdraft paint booth. They also carry I-CAR Gold and I-CAR Welding certifications.